Russell Wilson's interception to Prince Amukamara didn't just help the Bears win in Week 2. It helped one man win a ton of money. Wilson is supposed to be the guy who wins you a game when the ball is in his hands, and that's exactly what he did for the man who needed a Bears victory Monday night to win an absolutely stupid haul on a tiny bet. 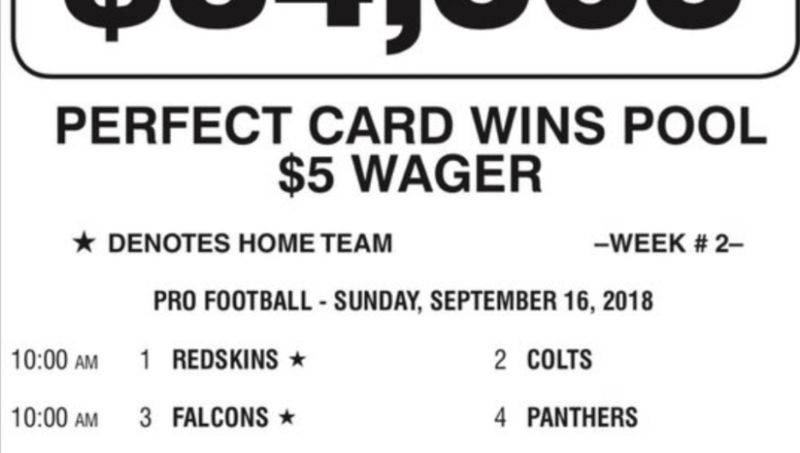 On a wager worth just $5, one man walked away with a $84,565 jackpot after the Wilson interception sealed a Bears win, ending his week picking NFL games at a perfect 16-0. Congrats to the one winner of our Nevada Pro Football  Progressive Jackpot of $84,565! That's a very nice payout of 16,913 for 1. Right now, you're probably staring at that $5 bill in your wallet knowing it'll probably turn into coffee and a bagel tomorrow instead of a sum nearing six figures. The odds of Wilson throwing to the wrong team there aren't incredibly high considering how clutch the man usually is, but they're a lot higher than 17,000-to-1 odds this man capitalized on. He may have known the Bears defense was going to stifle Wilson and the Seahawks, but pressing all of these buttons correctly is no small feat. Think about the small changes that could've ruined this bet-- the Browns converting on some field goals. The Clay Matthews penalty that helped the Vikings tie the Packers. Of course, the Wilson interception. All of those plays could've easily gone the opposite way and would've left him with nothing. Instead, this guy owes Russell Wilson -- and Prince Amukamara -- a few dozen beers.